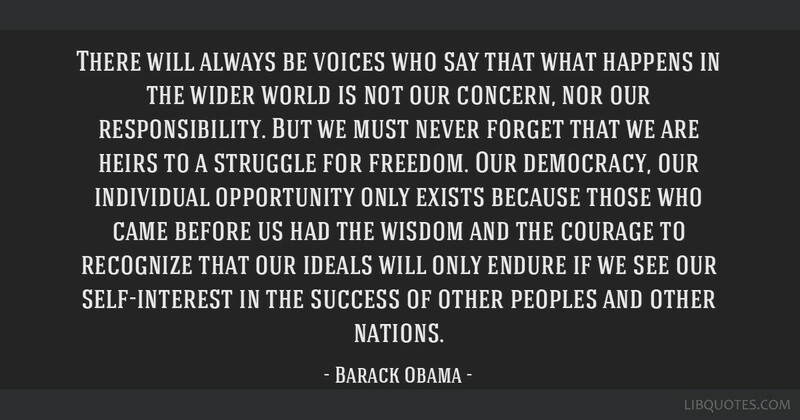 There will always be voices who say that what happens in the wider world is not our concern, nor our responsibility. 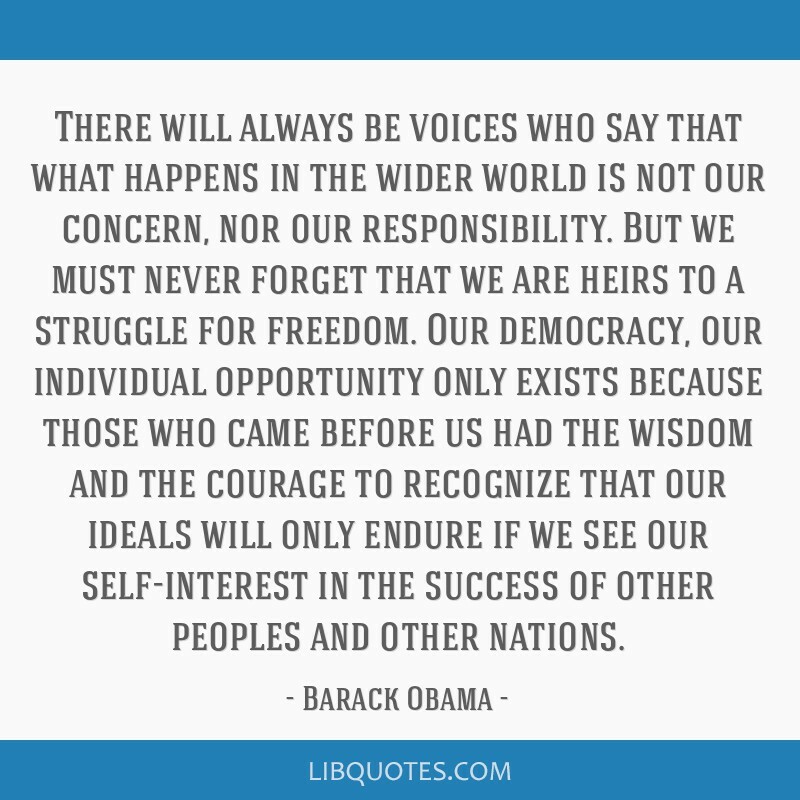 But we must never forget that we are heirs to a struggle for freedom. 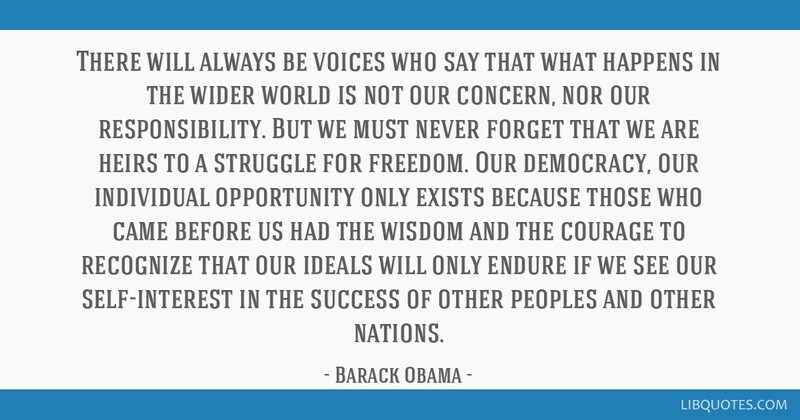 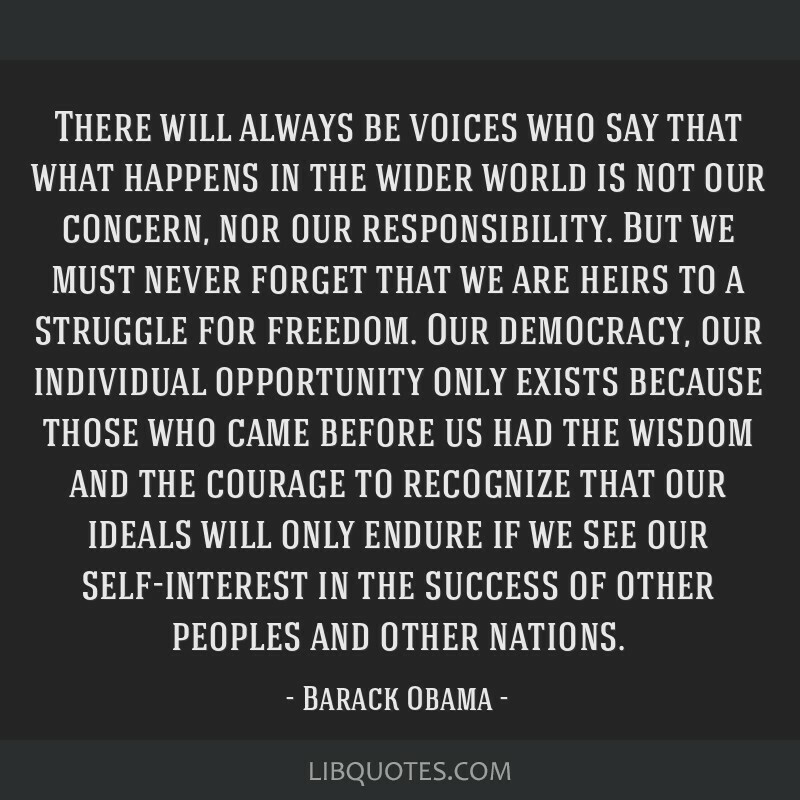 Our democracy, our individual opportunity only exists because those who came before us had the wisdom and the courage to recognize that our ideals will only endure if we see our self-interest in the success of other peoples and other nations.